To start at the beginning of this story, go here and follow the links. Trust me -- fly on a private plane just once and commercial will always make you cry. Vermont was cold in November. The leaves were gone, but the black and brown trees painted against the clouds held their own beauty. The sky was a shade of gray that I had never seen. It reminded me of old faded wood. Faded Wood ink and card stock?? Catchy name. At this point in the game, anything was possible. Laura and I hadn't spoken much on the flight. As soon as we sat down and buckled up, she took out a folder and a pen and began editing a document. I had no idea what she did at GDWS, but it didn't look like it had anything to do with stamping. She seemed busy. Rather than talk, I spent the flight looking out the window and thinking. I wanted to have a pen and a folder and a desk and a chair. I wanted an office. I wanted folks to have to make an appointment to meet with me. And I had a plan to get it all. When Andy and I had met, he explained that I could get sued if I copied a company. So I asked him, "What if another company copies my images?" A look of understanding came over Andy's face, and he advised, "Yes, of course, if another company copies you, you'll win." And then he continued, "Look, M, I'm not sure what you are up to and I don't want to know. If you tell me you are planning on committing a crime, I'll have to report you. So watch what you say to me." This guy was a genius. If I didn't love John, I'd marry my lawyer. Andy continued, "So yes, if for some reason, you come out with a stamp set first, and GDWS then comes out with the exact same images, you could sue them -- and likely win -- for copyright infringement." There was a lot of blah blah proof intent blah fair use stuff thrown in, but I got the drift. I stepped off the plane and imagined moving to Vermont. Ever since September 11th, I dreamed of leaving DC. No traffic or high prices or planes falling out of the sky up here. I could see sitting on the front porch of a darling farmhouse, peeling apples for a pie, and waving to our neighbors as they walked their dogs. I bet the schools were smaller too. Buffy's rank would go way up if there were only 100 kids in her graduating class. But that's not why I was here. I had no intention of moving to Vermont. I got my head out of those dreamy clouds, and walked with Laura to her car, a Red Hot Mercedes. As we pulled out of the parking lot, Laura turned to me and said, "We are so excited to meet you and hear how you pulled off an 11K workshop!" "Oh my gosh, I am so flattered! Listen, I promised Gina, the demo who held the workshop, that I would give credit to her." "Well, aren't you sweet!," said Laura. "Did you work together or just follow her lead?" Now how was I supposed to answer that? It killed me to give Gina any credit, but I wasn't here to impress GDWS, so what the heck. "Oh, I had some ideas, and Gina and I discussed them, and just played off each other. It was fun. Gina's a peach. Too bad she's leaving GDWS to go to law school." Laura turned and said, "Really? Gina's one of our top demos. Sorry to hear that." And just like that, Gina was toast. Hope law school works out. Everything about Laura was so perfect that I started to wonder if she was on something, so I poked around. "What do you do for GDWS?" "I'm the Director of Profitmaking." "Wow, I never heard of such a thing." "Well, most companies have a marketing department. Jackson decided, though, to be more specific. The purpose of my team is to make sure that GDWS is profitable, so we call it as it is." "How long have you been working at GDWS?" "Really? Can I ask how you got the job? I'm so curious." 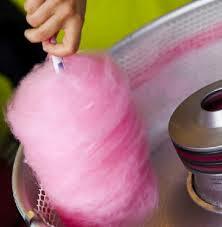 Laura responded, "Sure, I was the Cotton Candy Girl for a traveling carnival and we spent a week up here. Everyone in town goes to the carnival in the summer. Jackson and Kitty love cotton candy so they dropped by every night for a cone. We got to talking. One thing led to another and they hired me to answer phones at GDWS. Since then, I've worked my way up. They are fantastic that way. They see talent and support you all the way." I stated,"Oh, so that's why you have ink and papers called Cotton Candy?" Laura laughed, "Yes, I like to think so. It is one of our bestselling color lines." "I hope you don't mind my asking, but your life sounds pretty amazing. Are you married; do you have kids?" "No way. There was a hot hockey player hanging around me a couple of years ago. I kind of fell for him, but he thought stamping was a waste of money, so I had to end it. We all have our priorities." "Oh, that makes perfect sense. What exactly does a Director of Profitmaking do?" "Well, my team is in charge of ensuring that GDWS makes money. It's not just about sales, although that is a big part of it. It also includes pricing our products well. Too high and no one will buy. Too low and you lose money. Without a decent margin, we can't stay in business." "Wow, I never thought about that." I was learning a lot. Glad it was all getting recorded. "Yes," Laura said. "You can have tons of demonstrators and huge sales, but if you don't price your product right, you won't make any money. We learned that the hard way with our line of cat food." "You guys sold cat food?" "Yes, for a time." Laura chuckled. "It was a disaster. We had an amazing organic product and it sold pretty well, but we lost money on it because we had to price it too low in order to get folks to buy it. We won't make that mistake again. It's an art. Too low and you go broke. Too high and your customers will go somewhere else." "Gee, Laura, I have to say, you are pretty impressive. How do you generate sales?" Laura responded, "Well, there are a lot of ways. We do product placement -- we had one of our stamp sets in a Law and Order episode called Copyright Killer. Now that was fun! We also place direct print and online ads. But, mainly, we develop strategies for demonstrators to sell our products and to recruit more demonstrators. It's demanding, but I love it." 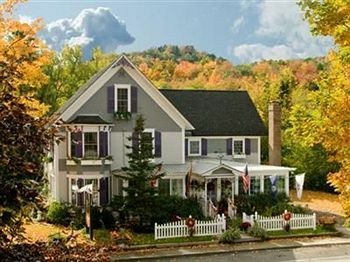 Before long, we pulled up to this gorgeous, right out of a movie, bed and breakfast with a wrap around porch and white picket fence. It was in town and just darling. Laura said, "This is where you'll be staying for the night. Tomorrow we'll meet with Kitty and Jackson, so there is nothing really planned for this afternoon. Why don't you check in and freshen up and I'll swing by in a couple of hours to take you to GDWS. Interested in a little tour?" "Yes! That would be awesome! Thanks." Sure enough, two hours later, and Laura's car pulled up in front of the B&B. I hoped my plans would work. If not, it would be just a fun, all-expenses paid, overnight trip for absolutely nothing. Or worse. Laura drove us right to GDWS, about 20 minutes out of town. You couldn't miss it. Its logo was by the road, carved out of wood and stone. All Vermont artsy, I guess. There were two buildings. The first was two floors, but in the back, there was a low sprawling building. Laura gestured to the back building. "That's where we manufacture our products and pack them for shipping. This front building is admin and design. We'll start in the back." We walked over to the back building. There was a guy in a guard's costume and we had to sign in. So there was a bit of security. As the tour began, I noticed a few security cameras. Not good. "Now this is where we make our stamp molds and stamps," Laura said as she pointed out a large area full of red rubber piles and big machines. Before I could look around much, Laura had me in the next room. We were moving fast. "This is where we package the stamps. We outsource the labels and stamp boxes, but pretty much everything else stamp related is made right here." I looked around and there were hundreds of stamp sets, each in its own large cubby with a label under it. "We are very proud of the fact that our stamps, card stock, inks, wood blocks, and catalogs are all made in the US." All the images were straight out of the current catty. Nothing new. I was stalling for time. "Why the cameras?," I asked. "Oh, kind of a quality control thing," Laura said rather vaguely. "Do you make your own ink and card stock?" Laura responded, "Sorry, M, but there is some information we keep close." "Oh, I understand." I tried again, "But I am a demo now. I'm part of the team, right?" "That's not how it works. We keep our sources confidential for a reason. I'm sure you understand." I did understand. Stamping was a competitive business. GDWS wasn't the only game in town. But, if things went well, Laura would be back to selling cotton candy soon enough. As we went through the building, Laura pointed out the employees whose job it was to put labels on stamp sets. Others packed orders. As Laura put it, "each employee has one job and learns to do it perfectly. " I guess that made sense. It was a pretty open space, but surprisingly quiet. Not at all what I expected. It was fantastic seeing how it all came together. But, it was also kind of boring. Take a box, slap a label on it, put it back in the cubby. Repeat. I couldn't imagine spending the day doing that. And there was no sign of any new products. I had to get out of here and into the admin building soon. Eventually, we made it to admin. Again, we signed in. Even Laura. I asked if I could use the ladies' room. "Sure, go down the hall and it is on the left. Come back here and we can chat in my office." The bathroom was empty. After I was finished, I washed my hands and then checked in each stall to make sure they were still empty. I didn't see any cameras. But I was careful nonetheless. Women love to talk and they love to talk in bathrooms. I opened my bag and took out a tiny mini voice recorder. It had a magnet on it and I attached it to the top of a stall divider. It was practically invisible and I hoped that no one cleaned up there. The recorder would send its information through a cell phone satellite to the receiver in my craft space. Perfect. I had to see what GDWS was planning on releasing in the future. I left the bathroom and met up with Laura. We headed for her office. I looked around, but didn't see any art work. "Laura," I asked, "Who draws the images for GDWS's stamps? Does that happen here?" "Absolutely. We have graphic designers on staff whose only job is to draw stamp sets and design paper products and the samples we use to market them. They are amazing. Sean Fetterman is the Director of Design. I stopped walking and said, "Oh, that would be so exciting. I wondered how stamps got designed. Thank you so much. Any chance I could meet Sean?" Laura shrugged. "Sure," she said, "I don't see why not." Laura buzzed a door and a woman came and opened. Laura said, "Come with me, M. This is our Design Department. We keep it locked because our designs are our "gold." We have to keep things confidential." "Got it. Mums the word, Laura." Laura laughed. "Sorry, M. I can't let you see our designs, but Sean will be happy to talk with you about the process." Laura turned to the woman who opened the door, and said, "Dotty, can you ask Sean to come out here?" Dotty came back with this gorgeous guy. His eyes!!! Laura introduced us and said to Sean, "Do you have a few minutes to talk with M? She's the cracker jack hostess behind the 11K workshop we've all been talking about. She's here to meet with Kitty and Jackson and me tomorrow. We want to pick her brains! In the meantime, M would love to hear about the creative process." Sean responded, "So your M? Awesome. I'd love to chat. Let's go in here and talk." He brought me into a conference room. It didn't appear to be anywhere near the design area. Laura turned and told me she'd be back in a half hour to drive me back to the B&B. I had 30 minutes to get the job done. Sean talked with me about his design process. He had 12 others on his team. They created at least 3 stamp designs for every one that got selected. "How do you decide what designs to use?" "Well, it's not easy. I designed a fabulous flamingo set that bombed. Two years later, flamingos were hot and every stamp company was selling them. You have to stay on top of the trends. Plus, there will always be a market for two things -- flowers and Santa doing goofing things. It makes no sense to me, but stampers love to see Santa doing all sorts of things -- surfing, skating, in a rodeo. You name it and I can draw Santa doing it!" We went back and forth. He was a really fun and nice guy. And super talented. Wonder if he'd work for me? After 10 minutes, I decided I had to make my move. "Sean, excuse me, but is there a ladies room back here I can use?" Sean looked concerned, but then said, "Um, sure. I guess that's ok. Go out this door, turn left and then another left when you see the big design room. Go all the way to the back. It is on the left, away from the side with the windows." "Thanks, it will only take a minute." I found the design room. It was huge. One wall was all windows, which kind of surprised me. I looked around quickly. I didn't see any cameras. Bingo. A fire alarm right near the bathroom. Luck was on my side today. Cubicles filled the room and I didn't think anyone could see me. I had to take the chance. I stopped by the alarm, checked quickly to make sure no one had popped out of a cubicle, and just pulled it. Slowly, I took two steps and was in the bathroom. I closed the stall door, got on top of a toilet and crouched. Sure enough, someone came in and shouted, "Anyone in here?" I said nothing and she left. The noise was deafening. I waited 25 seconds and peeked out into the design room. Drat, the ceiling was too high. No time to be careful. This was my chance. I scooted around quickly. The design room appeared to be empty. Up in the front was an office with glass walls. Sean's! I went in, placed my mini video recorder on the top of a file cabinet behind his desk, and ran out of there. You're living dangerously, M. Be careful, they're pretty clever at GDWS. I don't think this is going to end well. You are so creative Joan! Love this! this is definitely not going to end well for Mrs. M ... Can't wait for the next edition! my!! aren't you the devious one - this is scary!! I think M is going to get herself in trouble. Would look good though if she could get lame Laura into trouble! LOL I love this stuff! It's getting good...can't wait for the next chapter! Oh, my word, I see big trouble coming for M. The suspense is killing me!